Acceptability Criteria of Printed Circuit Boards, what standard do you use? Put surge suppression components on all electrical coils: Resistor/capacitor filters, MOVs, Zener and clamping diodes. Shield all remote connections, use twisted pairs. Shields should be tied to Earth at one end. Put all microelectronic components in an enclosure. Keep noisy devices outside. Watch internal temperature. Ground signal common wiring at one point. Float this ground from Earth if possible. Tie all mechanical grounds to Earth at one point. Run chassis and motor grounds to the frame, and the frame to Earth. Isolate remote signals. Solid state relays or opto isolators are recommended. Filter the power line. Use common RF filters, and use an isolation transformer for worst case. Filter the lines between the drive output and the motor. 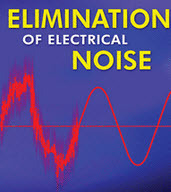 A noise problem must be identified before it can be solved. The obvious way to approach a problem situation is to eliminate potential noise sources until the symptoms disappear, as in the case of ground loops. Sam Sangani is the President & CEO of PNC Inc., a Nutley, NJ based Printed Circuit Board manufacturer. Sam graduated from L. D. Engineering College with a BS Degree in Mechanical Engineering. He also continued his education and graduated from Steven’s Institute of Technology where he acquired a Master’s degree in Computer Science. After completion of his BS, Sam worked as a QC Manager, for Xerox, Romania and London. He was responsible for the Quality Control of Cable and Wire Harness imports from Romania. After completing his Master’s Degree, he worked as a Senior Programmer with IBM, Tucson, Arizona. Sam was responsible for leading the Mainframe System Programming Team. In 1997, Sam acquired PNC INC., a Nutley, NJ based PC Board fabrication Shop. From 1997-2013, Sam has made tremendous improvements and changes within PNC INC., as he added many new Products and Technologies in PNC’s portfolio. With his proven track record and leadership, PNC has never had an unprofitable year and has continued its growth yearly since 1997. His current responsibilities are Strategic Planning, Corporate Management, New Business Ventures, Sales & Marketing, Trade Shows, Professional Services and leading productive teams to achieve peak potential. He has also utilized Lean Management techniques which have built a foundation for PNC’s high-paced growth. Sam also enjoys real-estate investing, web design & SEO, trading stocks, options, futures and Forex markets. PNC Inc. offers every solution in the PCB arena. This includes design, fabrication, assembly and a number of value-added services. With these capabilities and our facilities around the country, we are able to provide quick-turn prototypes and large-scale production all under the same roof. We pride ourselves on constant improvement and invest millions each year into making sure we have the latest technology to make our processes as efficient as possible.